come with a big rig truck and an suv. 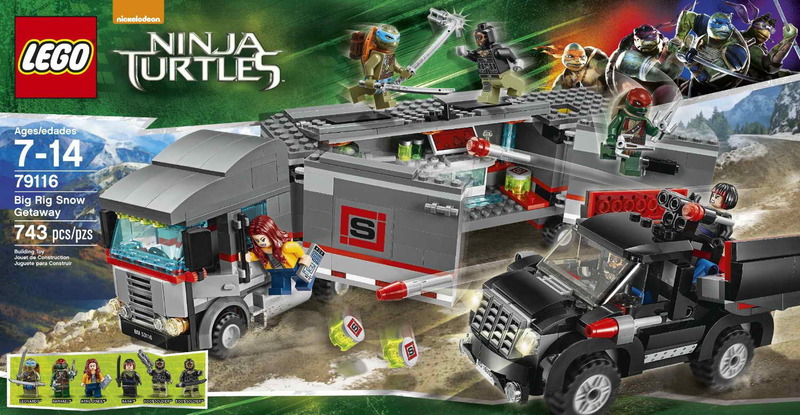 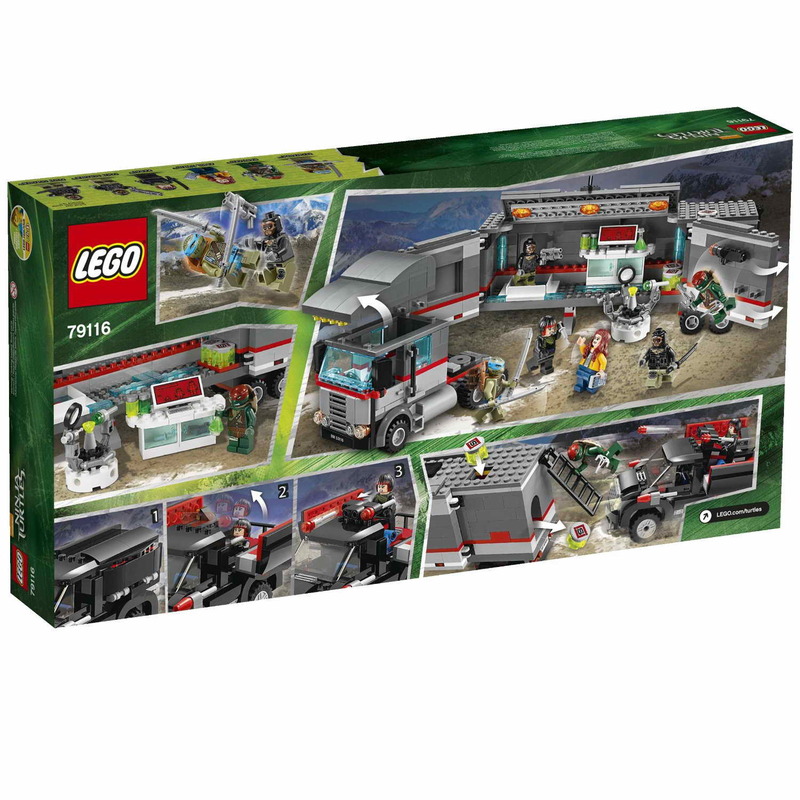 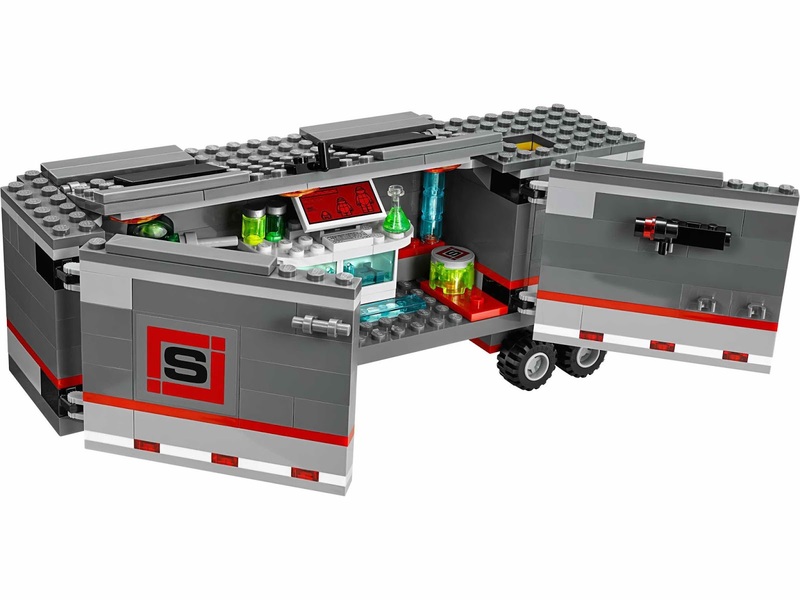 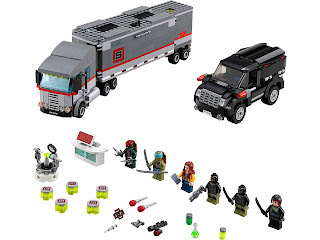 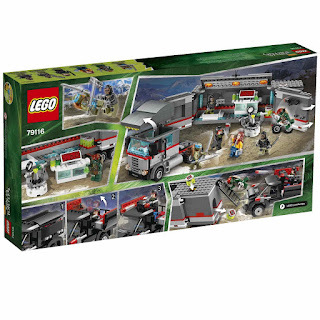 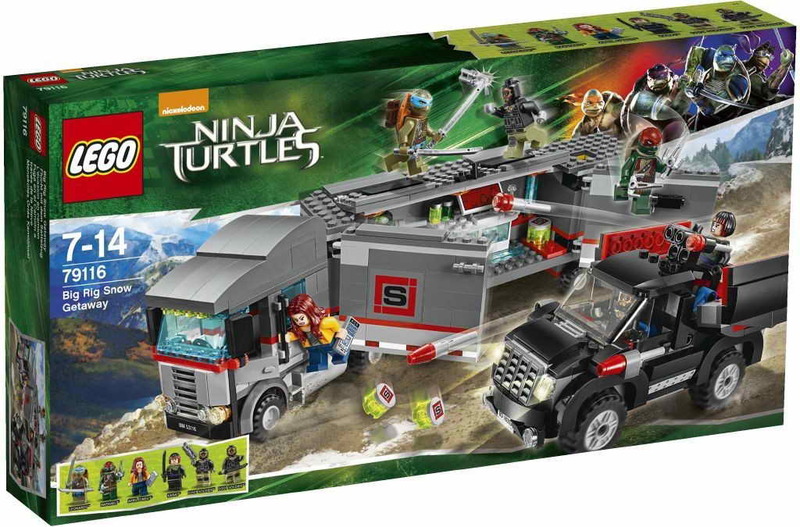 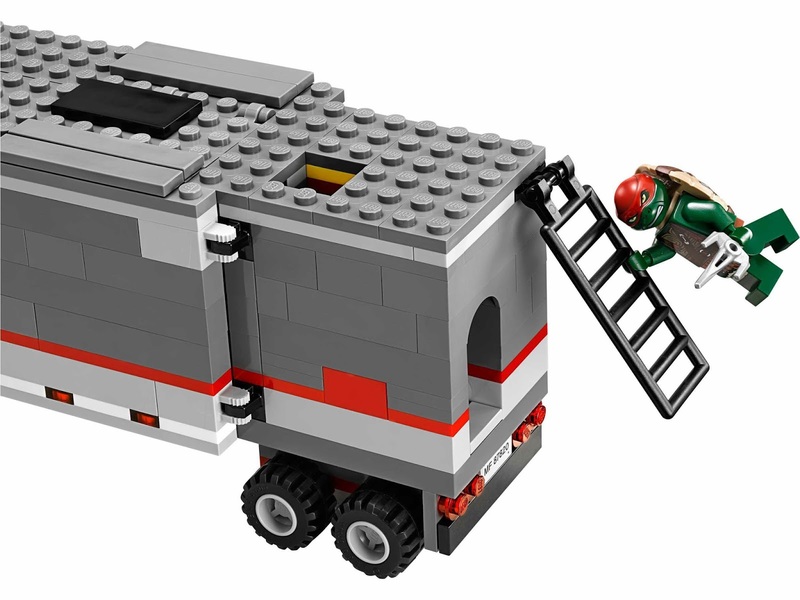 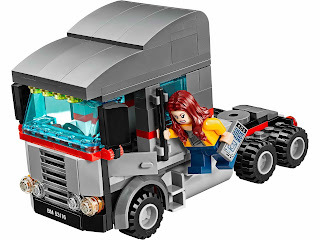 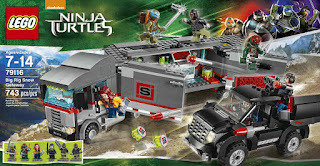 the truck has a detachable driver’s cabin, a removable roof, a removable mobile lab, an experimental machine, a computer, a cupboard, 3 fluid bottles, a syringe, a binoculars, side door weapon racks, openable side doors, a roof, 5 ooze barrels and back tippable barrel. 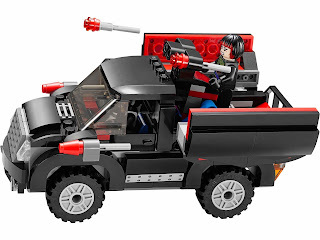 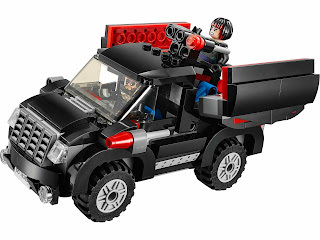 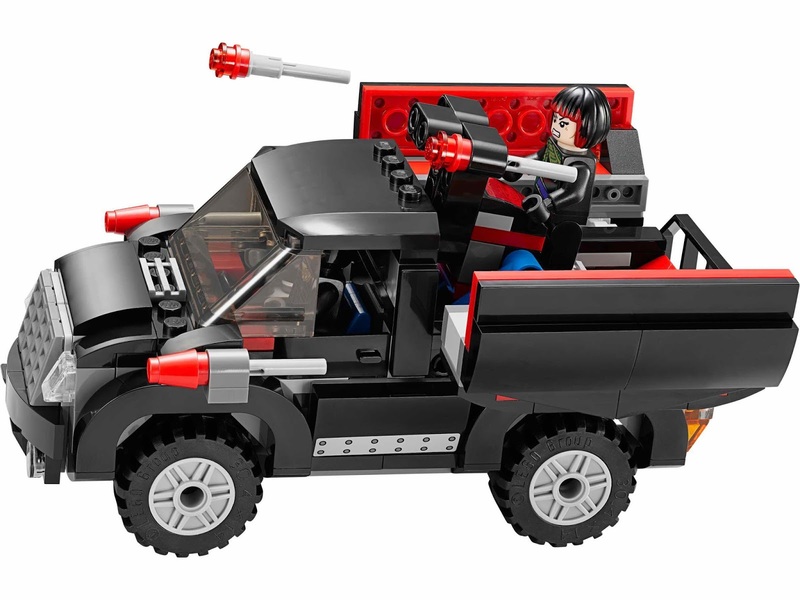 the suv has a removable roof, hidden flick missiles and unfoldable function. 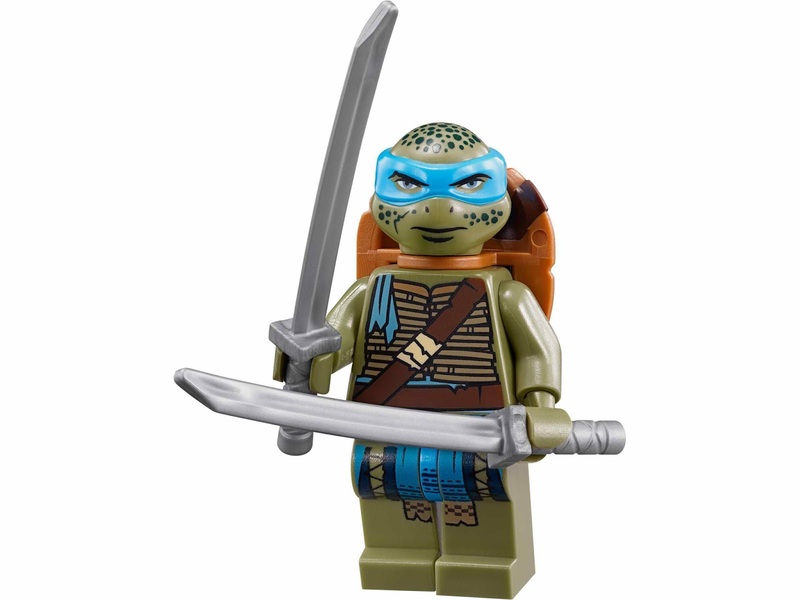 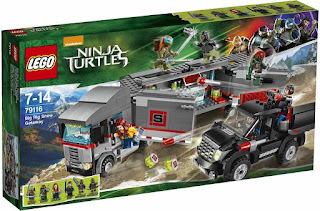 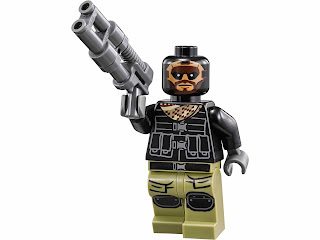 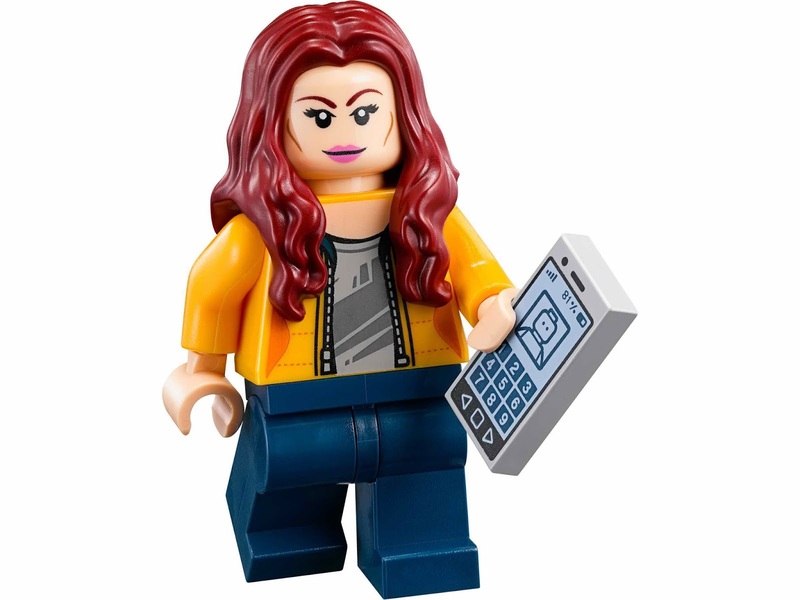 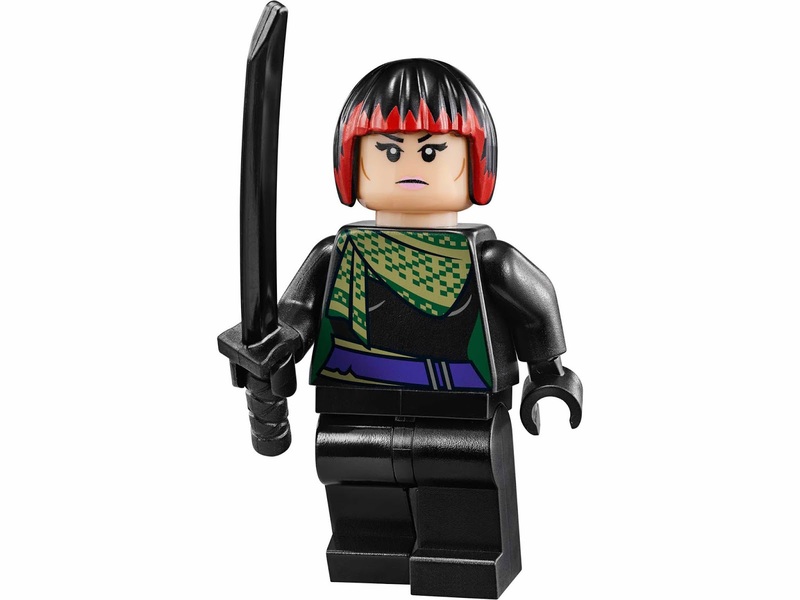 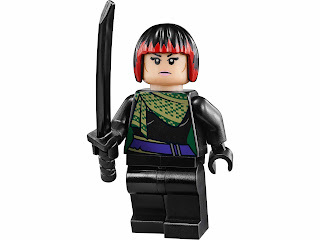 minifigs included an april o’neil minifig, a raphael minifig, a leonardo minifig, a karai minifig and 2 foot soldier minifigs.